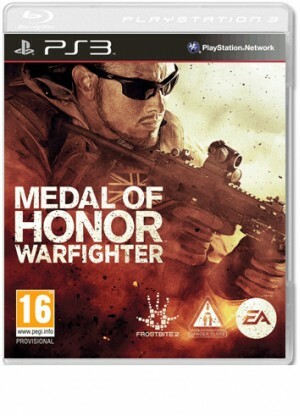 Medal of Honor Warfighter on PlayStation 3 goes beyond Afghanistan and takes the fight to the enemy in missions that have a dotted line to real world events. From rescuing hostages in the Philippines to eliminating the pirate threat on the Somali Coast, the game is an up close and personal look into the fight against today’s global terror threat. Written by U.S. Tier 1 Operators while deployed overseas, Medal of Honor Warfighter delivers an aggressive, gritty and authentic experience that puts gamers in the boots of the world’s most precise and disciplined warriors. Medal of Honor Warfighter tells the personal story of U.S. Tier 1 Operator “Preacher,” as he returns home only to find his family torn apart from years of combat deployment. Trying to pick up the pieces and salvage what remains of his marriage, Preacher is reminded of what he’s fighting for - family. But when a deadly explosive known as PETN penetrates civilian borders and his two worlds collide, Preacher and his fellow teammates are sent in to do what they do best – solve the problem. Multiplayer, in Medal of Honor Warfighter, sees gamers around the world can represent their nation’s Tier 1 Operators on the global battlefield. The game features 12 different Tier 1 Operators from a variety of nations including the Australian SASR, British SAS, German KSK and Polish GROM among others. For the first time in the series, Medal of Honor Warfighter introduces multi-national Tier 1 “blue-vs-blue” team play where the world’s best-of-the-best warriors go head-to-head in online competition.